Very interesting mani! Love it! I love the mesh of pink polish with black stamping and skulls. Very edgy but still feminine! Now this is just a cool mani! 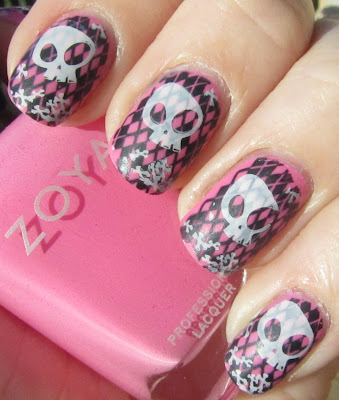 Very cool mani, love the pink with the skulls!